For my birthday this year I received a gift card to Purl Soho. I hadn’t heard of it before but after a quick visit to their website I was soon in love. 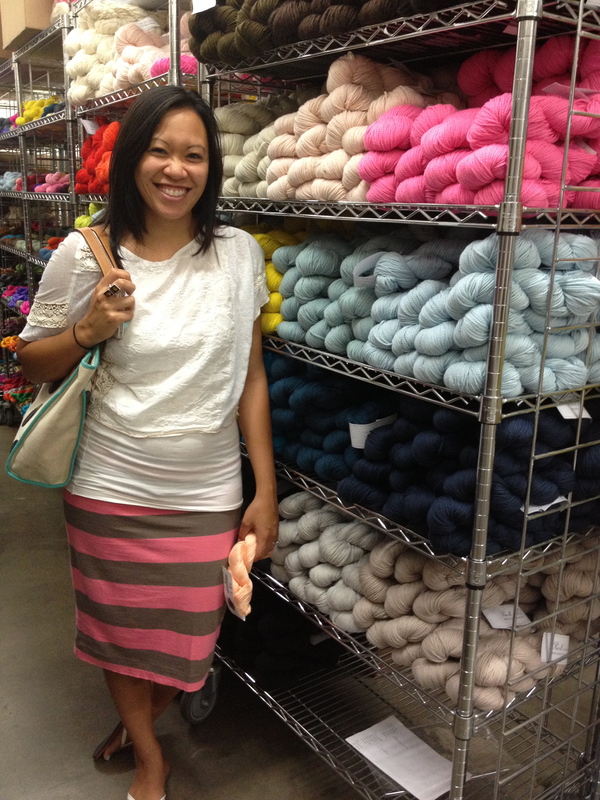 I was tempted to purchase every single skein of yarn…but the thing about yarn shopping is you want to feel the texture and the weight of the yarn…well I do! As you will see in the pictures I post below they can range from very lightweight to super chunks…not exactly the technical terms there but you get the gist, yeah? Also, I’ve noticed that the color on a mac isn’t always true to life. All this to say I ended up buying a quilting book (I have been on a bit of a quilting kick lately). Coincidentally another one of my friends rings me and asks if I’d be interested in going to the Purl Soho Warehouse in Tustin. Initial though was…Tustin?! Jigga What? 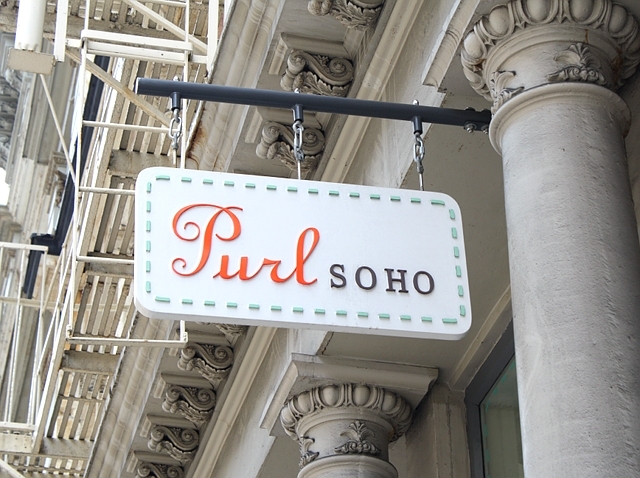 I though Purl Soho was only in New York! You mean, I could have driven to ORANGE COUNTY and felt all the yarn in person AND avoided shipping costs?! Turns out all online orders are shipped out of Tustin. Sigh. So we drive to Tustin which ended up being an amazing day driving around Orange County shopping, eating, and getting some real quality time reminiscent of the summer after our senior year in high school. The day was nothing short of perfect. The building we pulled up to left a lot to be desired. It is basically an office space in an industrial building (15431 Red Hill Ave Ste D Tustin, CA 92780 (800) 597-7875). We were scared we had been misled but once we walked in, we were not disappointed. 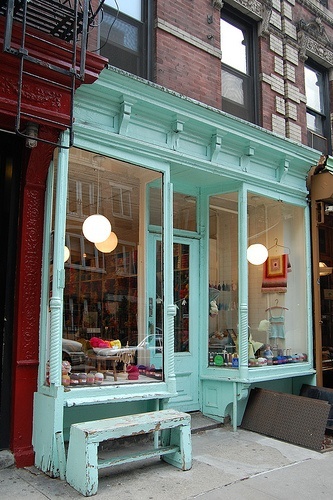 The picture below is the store front in New York. How adorbs is that? 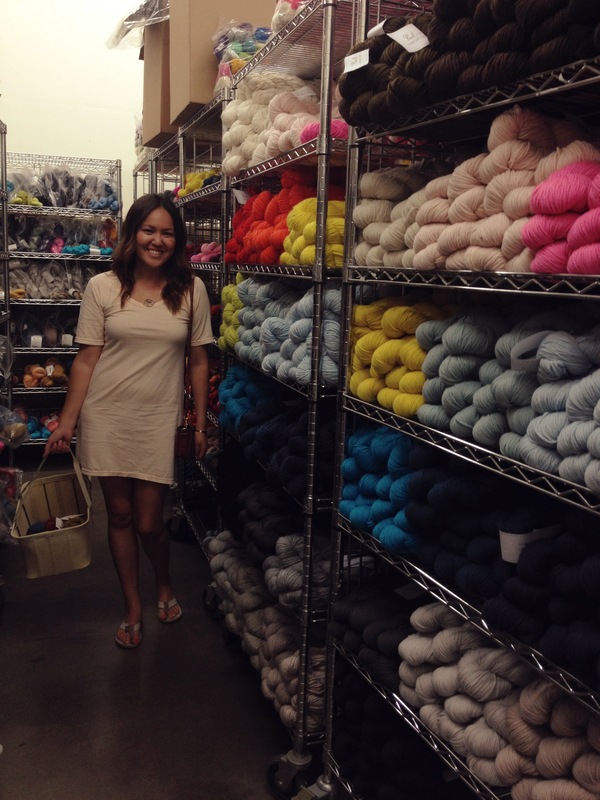 Here I am surrounded by yarn goodness. Please note the empty basket. 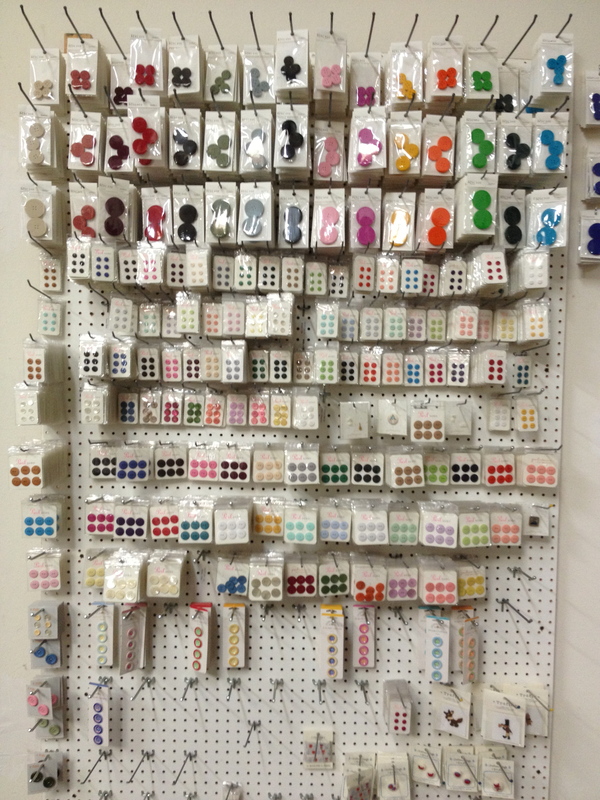 Yarns range from $8-$40 a skein…a far cry from the usual $4 I’m used to spending! This is a testament of my self control that I was surrounded by all of this and walked out with a very modest purchase. The key was walking in with a plan…something I don’t usually do! 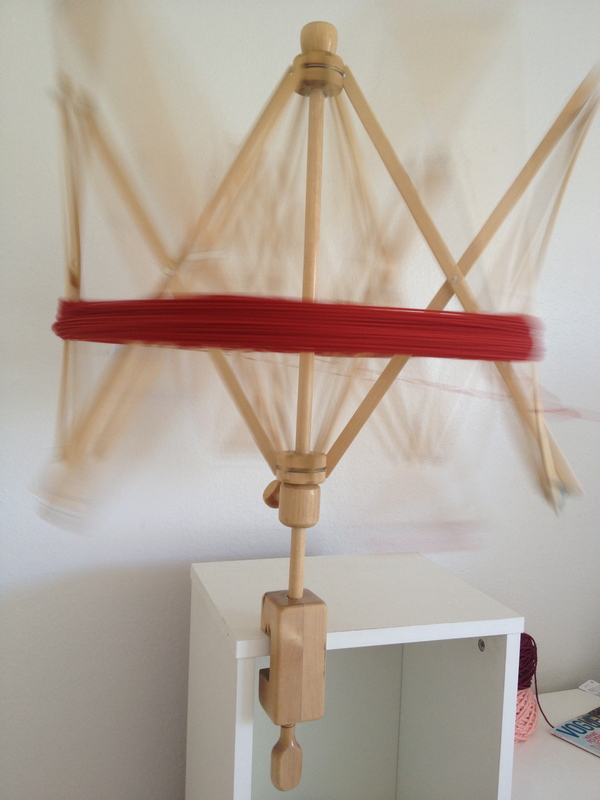 Here are the yarns before and after! Ooh La Loo! The colors look so good together. PS also has much more than just yarn. 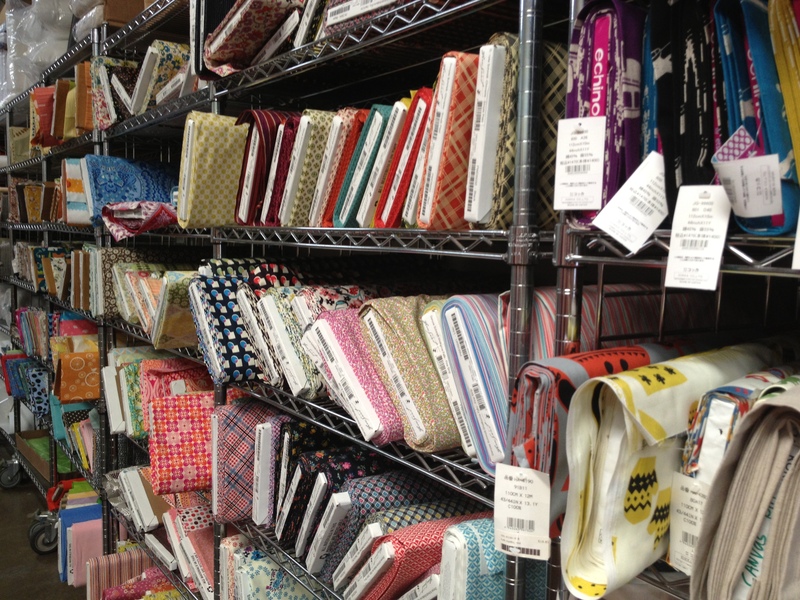 They have a great selection of notions, tools, and fabric. 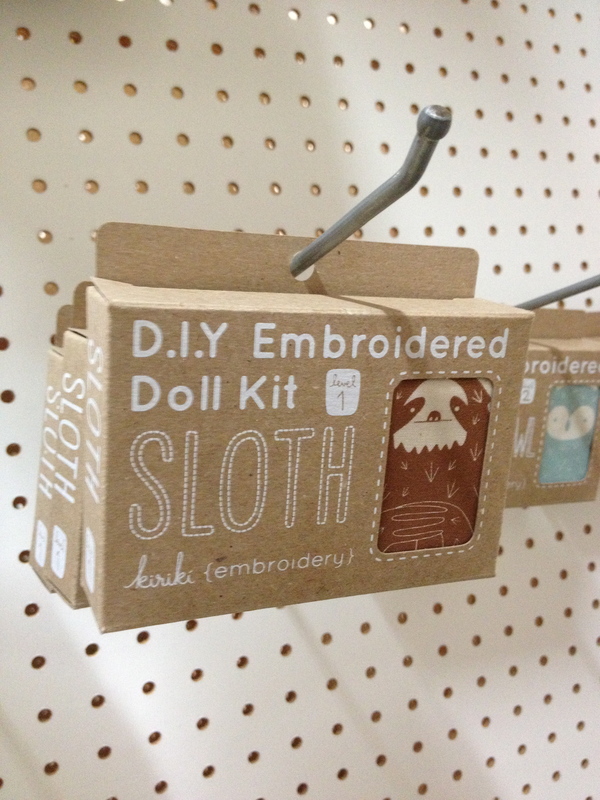 Also, there are cute kits that would make great gifts. Here was my personal fav. FYI, I’m completely obsessed with sloths. In fact today on Instagram I saw the raddest sloth tattoo…the pain of my recent tattoo is still too fresh in my memory. I don’t think I could do it again. But I’ll admit…it had me tempted. The purpose of our visit was to get started on planning a baby shower for our mutual bestie. Had a solid 11 hour hang out today. Couldn’t have asked for better company. Almost makes me want to crochet or knit! Stace is blessed to have such talented friends. Does everyone at the shower get a crocheted favor? As for sloths, ummmm, you are so the opposite of a sloth so I think you’re going to marry one. He will be nice, cute and slow (obviosuly he’s taking his sweet time getting to you).